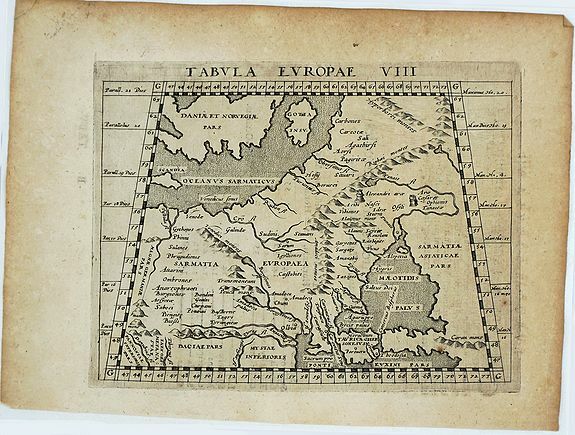 Old map by MAGINI -Tabula Europe VIII. Size: 5.3 x 6.9 inches. Condition: In good condition. Slightly browned and foxed. Paper with original map maker’s watermarks. 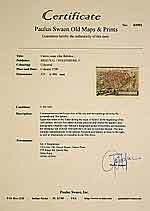 Issued by Claudius Ptolemaeus, edited by J.A. Magini, Cologne Keschedt 1597, taken from “Geographiae universe tum veteris, tum novae absolutissimum opus …” Second edition of the Magini Edition, the last significant Ptolemy adaptation. With Latin text on verso.